If you want to have your home appraised, you need to work with a company that is fully committed to home appraisal services. By using this type of business, you can make sure that your valuation is done with precision and efficiency. A home appraisal in Toronto Ontario is defined as an inspection to estimate the value of a home. Mortgage lenders require an appraisal to confirm the value of the collateral for financing. Home appraisals are done case-by-case to verify the home’s market value and assess its risk. Whilst most home appraisals tend to be issued by lenders, some homebuyers may request their own. One of the advantages of reviewing the services of real estate appraisers in Toronto is the fact that you have the opportunity to determine a sale price that is reasonable. For instance, you may be paying too much in property taxes, given the appraisal value of the home. The cost of an appraisal can vary, depending on the location of the house. For example, if comparable information is limited, you probably will have to pay more for the inspection. An appraisal is always highly recommended, considering that real estate is such a large investment. The appraisal fee is trivial when you look at the cost of the asset. If the appraisal is lender-based, do not expect the lender to share the details of the inspection. If you are ready to offer a large down payment and you have a good credit score, the appraisal often amounts to nothing more than a drive-by inspection. The appraiser will not even enter the property. Unfortunately, if the property is valued under the agreed purchase price, the buyer is left without any recourse. Therefore, be careful in your real estate dealings. If you wish to have an appraisal performed yourself, you can gain a lot of leverage by taking this step. 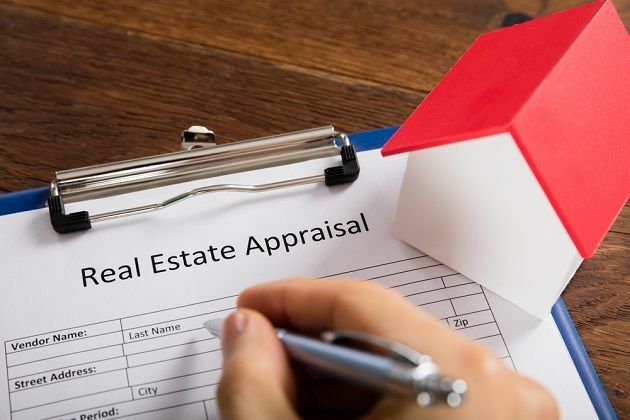 Thorough appraisals include a sketch of the house, aerial pictures, and site maps, and always are professionally done. Work with an appraisal company that is fully committed to the appraisal process.